The essential elements of the four biosafety levels for activities involving infectious microorganisms and laboratory animals are summarized in Table 1 of this chapter and discussed in Chapter 2. The levels are designated in ascending order, by degree of protection provided to personnel, the environment, and the community. Standard microbiological practices are common to all laboratories. Special microbiological practices enhance worker safety, environmental protection, and address the risk of handling agents requiring increasing levels of containment. 2. Persons must wash their hands after working with potentially hazardous materials and before leaving the laboratory. 3. Eating, drinking, smoking, handling contact lenses, applying cosmetics, and storing food for human consumption must not be permitted in laboratory areas. Food must be stored outside the laboratory area in cabinets or refrigerators designated and used for this purpose. 4. Mouth pipetting is prohibited; mechanical pipetting devices must be used. a. Careful management of needles and other sharps are of primary importance. Needles must not be bent, sheared, broken, recapped, removed from disposable syringes, or otherwise manipulated by hand before disposal. b. Used disposable needles and syringes must be carefully placed in conveniently located puncture-resistant containers used for sharps disposal. c. Non disposable sharps must be placed in a hard walled container for transport to a processing area for decontamination, preferably by autoclaving. d. Broken glassware must not be handled directly. Instead, it must be removed using a brush and dustpan, tongs, or forceps. Plasticware should be substituted for glassware whenever possible. 6. Perform all procedures to minimize the creation of splashes and/or aerosols. 7. Decontaminate work surfaces after completion of work and after any spill or splash of potentially infectious material with appropriate disinfectant. a. Materials to be decontaminated outside of the immediate laboratory must be placed in a durable, leak proof container and secured for transport. b. Materials to be removed from the facility for decontamination must be packed in accordance with applicable local, state, and federal regulations. 9. A sign incorporating the universal biohazard symbol must be posted at the entrance to the laboratory when infectious agents are present. The sign may include the name of the agent(s) in use, and the name and phone number of the laboratory supervisor or other responsible personnel. Agent information should be posted in accordance with the institutional policy. 10. An effective integrated pest management program is required. See Appendix G.
susceptibility to infection, ability to receive immunizations or prophylactic interventions. Therefore, all laboratory personnel and particularly women of child-bearing age should be provided with information regarding immune competence and conditions that may predispose them to infection. Individuals having these conditions should be encouraged to self-identify to the institution’s healthcare provider for appropriate counseling and guidance. 1. Special containment devices or equipment, such as BSCs, are not generally required. 2. Protective laboratory coats, gowns, or uniforms are recommended to prevent contamination of personal clothing. 3. Wear protective eyewear when conducting procedures that have the potential to create splashes of microorganisms or other hazardous materials. Persons who wear contact lenses in laboratories should also wear eye protection. a. Change gloves when contaminated, integrity has been compromised, or when otherwise necessary. b. Remove gloves and wash hands when work with hazardous materials has been completed and before leaving the laboratory. c. Do not wash or reuse disposable gloves. Dispose of used gloves with other contaminated laboratory waste. Hand washing protocols must be rigorously followed. 1. Laboratories should have doors for access control. 2. Laboratories must have a sink for hand washing. 3. The laboratory should be designed so that it can be easily cleaned. Carpets and rugs in laboratories are not appropriate. 4. Laboratory furniture must be capable of supporting anticipated loads and uses. Spaces between benches, cabinets, and equipment should be accessible for cleaning. a. Bench tops must be impervious to water and resistant to heat, organic solvents, acids, alkalis, and other chemicals. b. Chairs used in laboratory work must be covered with a non-porous material that can be easily cleaned and decontaminated with appropriate disinfectant. 5. Laboratories windows that open to the exterior should be fitted with screens. 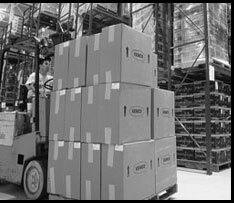 c. Non-disposable sharps must be placed in a hard walled container for transport to a processing area for decontamination, preferably by autoclaving. 9. A sign incorporating the universal biohazard symbol must be posted at the entrance to the laboratory when infectious agents are present. Posted information must include: the laboratory’s biosafety level, the supervisor’s name (or other responsible personnel), telephone number, and required procedures for entering and exiting the laboratory. Agent information should be posted in accordance with the institutional policy. 11. 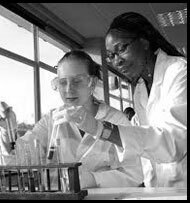 The laboratory supervisor must ensure that laboratory personnel receive appropriate training regarding their duties, the necessary precautions to prevent exposures, and exposure evaluation procedures. Personnel must receive annual updates or additional training when procedural or policy changes occur. Personal health status may impact an individual’s susceptibility to infection, ability to receive immunizations or prophylactic interventions. Therefore, all laboratory personnel and particularly women of child-bearing age should be provided with information regarding immune competence and conditions that may predispose them to infection. Individuals having these conditions should be encouraged to self-identify to the institution’s healthcare provider for appropriate counseling and guidance. 1. All persons entering the laboratory must be advised of the potential hazards and meet specific entry/exit requirements. 2. Laboratory personnel must be provided medical surveillance and offered appropriate immunizations for agents handled or potentially present in the laboratory. 3. Each institution must establish policies and procedures describing the collection and storage of serum samples from at-risk personnel. 4. A laboratory-specific biosafety manual must be prepared and adopted as policy. The biosafety manual must be available and accessible. 5. The laboratory supervisor must ensure that laboratory personnel demonstrate proficiency in standard and special microbiological practices before working with BSL-2 agents. 6. Potentially infectious materials must be placed in a durable, leak proof container during collection, handling, processing, storage, or transport within a facility. 7. Laboratory equipment should be routinely decontaminated, as well as, after spills, splashes, or other potential contamination. a. Spills involving infectious materials must be contained, decontaminated, and cleaned up by staff properly trained and equipped to work with infectious material. b. Equipment must be decontaminated before repair, maintenance, or removal from the laboratory. 8. Incidents that may result in exposure to infectious materials must be immediately evaluated and treated according to procedures described in the laboratory biosafety safety manual. All such incidents must be reported to the laboratory supervisor. Medical evaluation, surveillance, and treatment should be provided and appropriate records maintained. 9. Animals and plants not associated with the work being performed must not be permitted in the laboratory. 10. All procedures involving the manipulation of infectious materials that may generate an aerosol should be conducted within a BSC or other physical containment devices. a. Procedures with a potential for creating infectious aerosols or splashes are conducted. These may include pipetting, centrifuging, grinding, blending, shaking, mixing, sonicating, opening containers of infectious materials, inoculating animals intranasally, and harvesting infected tissues from animals or eggs. b. High concentrations or large volumes of infectious agents are used. Such materials may be centrifuged in the open laboratory using sealed rotor heads or centrifuge safety cups. 2. Protective laboratory coats, gowns, smocks, or uniforms designated for laboratory use must be worn while working with hazardous materials. Remove protective clothing before leaving for non-laboratory areas (e.g., cafeteria, library, administrative offices). Dispose of protective clothing appropriately, or deposit it for laundering by the institution. It is recommended that laboratory clothing not be taken home. 3. Eye and face protection (goggles, mask, face shield or other splatter guard) is used for anticipated splashes or sprays of infectious or other hazardous materials when the microorganisms must be handled outside the BSC or containment device. Eye and face protection must be disposed of with other contaminated laboratory waste or decontaminated before reuse. Persons who wear contact lenses in laboratories should also wear eye protection. or when otherwise necessary. Wear two pairs of gloves when appropriate. 5. Eye, face and respiratory protection should be used in rooms containing infected animals as determined by the risk assessment. 1. Laboratory doors should be self-closing and have locks in accordance with the institutional policies. 2. Laboratories must have a sink for hand washing. The sink may be manually, hands-free, or automatically operated. It should be located near the exit door. 3. The laboratory should be designed so that it can be easily cleaned and decontaminated. Carpets and rugs in laboratories are not permitted. 5. Laboratory windows that open to the exterior are not recommended. However, if a laboratory does have windows that open to the exterior, they must be fitted with screens. 6. BSCs must be installed so that fluctuations of the room air supply and exhaust do not interfere with proper operations. BSCs should be located away from doors, windows that can be opened, heavily traveled laboratory areas, and other possible airflow disruptions. 7. Vacuum lines should be protected with High Efficiency Particilate Air (HEPA) filters, or their equivalent. Filters must be replaced as needed. Liquid disinfectant traps may be required. 8. An eyewash station must be readily available. 9. There are no specific requirements on ventilation systems. However, planning of new facilities should consider mechanical ventilation systems that provide an inward flow of air without recirculation to spaces outside of the laboratory. 10. HEPA filtered exhaust air from a Class II BSC can be safely re-circulated back into the laboratory environment if the cabinet is tested and certified at least annually and operated according to manufacturer’s recommendations. BSCs can also be connected to the laboratory exhaust system by either a thimble (canopy) connection or a direct (hard) connection. Provisions to assure proper safety cabinet performance and air system operation must be verified. 11. A method for decontaminating all laboratory wastes should be available in the facility (e.g., autoclave, chemical disinfection, incineration, or other validated decontamination method). Biosafety Level 3 is applicable to clinical, diagnostic, teaching, research, or production facilities where work is performed with indigenous or exotic agents that may cause serious or potentially lethal disease through inhalation route exposure. Laboratory personnel must receive specific training in handling pathogenic and potentially lethal agents, and must be supervised by scientists competent in handling infectious agents and associated procedures. 9. A sign incorporating the universal biohazard symbol must be posted at the entrance to the laboratory when infectious agents are present. Posted information must include the laboratory’s biosafety level, the supervisor’s name (or other responsible personnel), telephone number, and required procedures for entering and exiting the laboratory. Agent information should be posted in accordance with the institutional policy. 1. All persons entering the laboratory must be advised of the potential hazards and meet specific entry/exit requirements. 2. Laboratory personnel must be provided medical surveillance and offered appropriate immunizations for agents handled or potentially present in the laboratory. 5. The laboratory supervisor must ensure that laboratory personnel demonstrate proficiency in standard and special microbiological practices before working with BSL-3 agents. 10. All procedures involving the manipulation of infectious materials must be conducted within a BSC, or other physical containment devices. No work with open vessels is conducted on the bench. When a procedure cannot be performed within a BSC, a combination of personal protective equipment and other containment devices, such as a centrifuge safety cup or sealed rotor, must be used. 1. All procedures involving the manipulation of infectious materials must be conducted within a BSC (preferably Class II or Class III), or other physical containment devices. 2. Protective laboratory clothing with a solid-front such as tie-back or wraparound gowns, scrub suits, or coveralls are worn by workers when in the laboratory. Protective clothing is not worn outside of the laboratory. Reusable clothing is decontaminated with appropriate disinfectant before being laundered. Clothing is changed when contaminated. 3. Eye and face protection (goggles, mask, face shield or other splatter guard) is used for anticipated splashes or sprays of infectious or other hazardous materials. Eye and face protection must be disposed of with other contaminated laboratory waste or decontaminated before reuse. Persons who wear contact lenses in laboratories must also wear eye protection. a. Change gloves when contaminated, integrity has been compromised, or when otherwise necessary. Wear two pairs of gloves when appropriate. 5. Eye, face, and respiratory protection must be used in rooms containing infected animals. 1. Laboratory doors must be self closing and have locks in accordance with the institutional policies. The laboratory must be separated from areas that are open to unrestricted traffic flow within the building. Access to the laboratory is restricted to entry by a series of two self-closing doors. A clothing change room (anteroom) may be included in the passageway between the two self-closing doors. 2. Laboratories must have a sink for hand washing. The sink must be hands-free or automatically operated. It should be located near the exit door. If the laboratory is segregated into different laboratories, a sink must also be available for hand washing in each zone. Additional sinks may be required as determined by the risk assessment. 3. The laboratory must be designed so that it can be easily cleaned and decontaminated. Carpets and rugs are not permitted. Seams, floors, walls, and ceiling surfaces should be sealed. Spaces around doors and ventilation openings should be capable of being sealed to facilitate space decontamination. a. Floors must be slip resistant, impervious to liquids, and resistant to chemicals. Consideration should be given to the installation of seamless, sealed, resilient or poured floors, with integral cove bases. b. Walls should be constructed to produce a sealed smooth finish that can be easily cleaned and decontaminated. c. Ceilings should be constructed, sealed, and finished in the same general manner as walls. Decontamination of the entire laboratory should be considered when there has been gross contamination of the space, significant changes in laboratory usage, for major renovations, or maintenance shut downs. 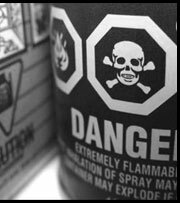 Selection of the appropriate materials and methods used to decontaminate the laboratory must be based on the risk assessment of the biological agents in use. 4. Laboratory furniture must be capable of supporting anticipated loads and uses. Spaces between benches, cabinets, and equipment must be accessible for cleaning. 5. All windows in the laboratory must be sealed. 6. BSCs must be installed so that fluctuations of the room air supply and exhaust do not interfere with proper operations. BSCs should be located away from doors, heavily traveled laboratory areas, and other possible airflow disruptions. 7. Vacuum lines must be protected with HEPA filters, or their equivalent. Filters must be replaced as needed. Liquid disinfectant traps may be required. 8. An eyewash station must be readily available in the laboratory. 9. A ducted air ventilation system is required. This system must provide sustained directional airflow by drawing air into the laboratory from “clean” areas toward “potentially contaminated” areas. The laboratory shall be designed such that under failure conditions the airflow will not be reversed. a. Laboratory personnel must be able to verify directional air flow. A visual monitoring device which confirms directional air flow must be provided at the laboratory entry. Audible alarms should be considered to notify personnel of air flow disruption. b. The laboratory exhaust air must not re-circulate to any other area of the building. c. The laboratory building exhaust air should be dispersed away from occupied areas and from building air intake locations or the exhaust air must be HEPA filtered. 10. HEPA filtered exhaust air from a Class II BSC can be safely re-circulated into the laboratory environment if the cabinet is tested and certified at least annually and operated according to manufacturer’s recommendations. BSCs can also be connected to the laboratory exhaust system by either a thimble (canopy) connection or a direct (hard) connection. Provisions to assure proper safety cabinet performance and air system operation must be verified. BSCs should be certified at least annually to assure correct performance. Class III BSCs must be directly (hard) connected up through the second exhaust HEPA filter of the cabinet. Supply air must be provided in such a manner that prevents positive pressurization of the cabinet. 11. A method for decontaminating all laboratory wastes should be available in the facility, preferably within the laboratory (e.g., autoclave, chemical disinfection, incineration, or other validated decontamination method). 12. Equipment that may produce infectious aerosols must be contained in devices that exhaust air through HEPA filtration or other equivalent technology before being discharged into the laboratory. These HEPA filters should be tested and/or replaced at least annually. 13. Facility design consideration should be given to means of decontaminating large pieces of equipment before removal from the laboratory. 14. Enhanced environmental and personal protection may be required by the agent summary statement, risk assessment, or applicable local, state, or federal regulations. These laboratory enhancements may include, for example, one or more of the following; an anteroom for clean storage of equipment and supplies with dress-in, shower-out capabilities; gas tight dampers to facilitate laboratory isolation; final HEPA filtration of the laboratory exhaust air; laboratory effluent decontamination; and advanced access control devices such as biometrics. HEPA filter housings should have gas-tight isolation dampers; decontamination ports; and/or bag-in/bag-out (with appropriate decontamination procedures) capability. The HEPA filter housing should allow for leak testing of each filter and assembly. The filters and the housing should be certified at least annually. 15. The BSL-3 facility design, operational parameters, and procedures must be verified and documented prior to operation. Facilities must be re-verified and documented at least annually.